Shop online for 39 mirror plastic models at discounts up to 20%. Cars / Trucks / Vehicles is the most popular of the 3 mirror plastic models categories, then Parts/Acc., and Figures. 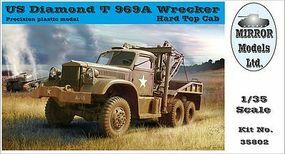 This is the 1/35 Scale 1942 US Diamond T 969A Wrecker with Hardtop Cab from Mirror Models Ltd. 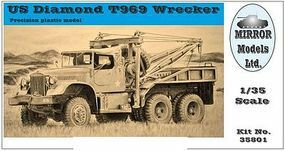 This is the 1/35 Scale US Diamond T969 Wrecker from Mirror Models Ltd. This is the 1/35 Scale CMP C60L Cab 11 GS 3-Ton 4x4 Truck with Winch from Mirror Models Ltd. 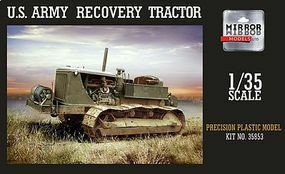 This is the 1/35 Scale US Army Military Recovery Tractor from Mirror Models Ltd. 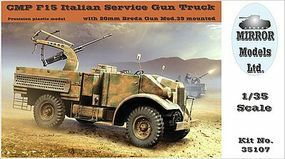 This is the 1/35 Scale CMP F15 Italian Service Gun Truck with 20mm Mod 39 Breda (New Tool) from Mirror Models Ltd. 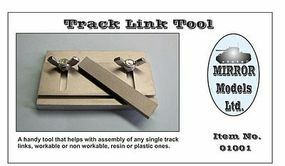 This is the Track Link Tool for Plastic & Resin Single Track Links, Workable or Non-workable from Mirror Models Ltd. 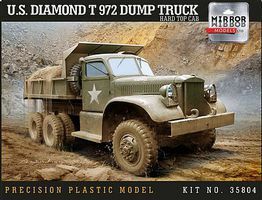 This is the 1/35 Scale US Diamond T 972 Dump Truck with Hardtop Cab from Mirror Models Ltd. 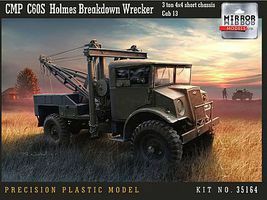 This is the 1/35 Scale CMP C60S Cab 13 3-Ton 4x4 Short Chassis Holmes Breakdown Wreacker (New Tool) from Mirror Models Ltd. This is the 1/35 Scale US Army Military Armored Bulldozer from Mirror Models Ltd. This is the 1/35 Scale CMP CGT Cab 13 Field Artillery Tractor from Mirror Models Ltd. This is the 1/35 Scale Italian 20mm Mod 39 Breda Gun (2) from Mirror Models Ltd. 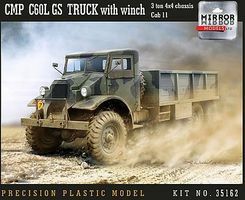 This is the 1/35 Scale CMP C60L Cab 13 GS Truck from Mirror Models Ltd. This is the 1/35 Scale British Morris C8 Quad Mk III No.5 Artillery Tractor from Mirror Models Ltd. This is the 1/35 Scale British Morris C8 Quad Mk III Beetle-Back Body Late Artillery Tractor from Mirror Models Ltd. This is the 1/35 Scale CMP C60L Cab 13 3-Ton 4x4 Water Truck from Mirror Models Ltd. This is the 1/35 Scale US Diamond T968 Cargo Truck with Open Cab from Mirror Models Ltd. This is the 1/35 Scale CMP Mk I Otter Light Recon Car from Mirror Models Ltd. This is the 1/35 Scale Russian ZIS30 Self-Propelled Anti-Tank Gun from Mirror Models Ltd. This is the 1/35 Scale British Morris C8 Quad Mk III Beetle-Back Body Early Artillery Tractor from Mirror Models Ltd. This is the 1/35 Scale US Army D7 7M Military Tractor from Mirror Models Ltd.